Honor 8 Pro finally started getting the EMUI 9.0 Update Based on Android 9.0 Pie. The update is rolling out in India with build number 9.0.1.163(C675E6R1P5) and includes the March security patch and ViLTE support. 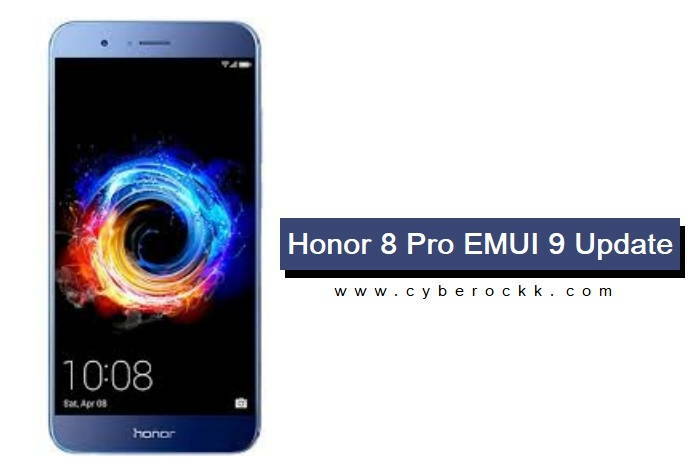 It’s important to note that the company began the EMUI 9.0 beta update for Honor 8 Pro in February. The update arrives in two different sizes – 3.49GB for non-beta users, for beta users just over 340MB. You can check out the full changelog below for the EMUI 9.0 update on Honor 8 Pro. The Honor 8 Pro came in 2017 running Android Nougat with EMUI 5.1 out-of-the-box. The phone packs a big 4000 mAh battery, 6GB of RAM and HiSilicon Kirin 960 chipset. It has dual 12MP camera sensors at the rear and an 8-megapixel selfie sensor. In February 2018, the Honor 8 Pro received the Android 8.0 Oreo and in November 2018 through the OTA update, it got GPU Turbo and Native Call Recording Support. The EMUI 9 update is rolling out over the air in phases, so it might take some time to reach all eligible handsets. In the meantime, you can check for the update manually by going to Settings > About Phone > System update.